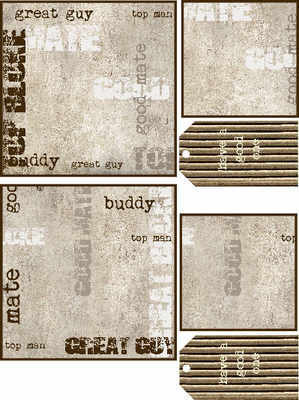 Two toppers for men, made from the Great Guy backing paper which is covered in blokey text. 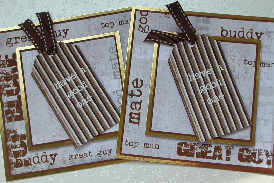 The two larger background pieces are 12 x 12cm, two smaller pieces 8 x 8cm, and two cardboard tags. The examples have been layered with gold mirror card.